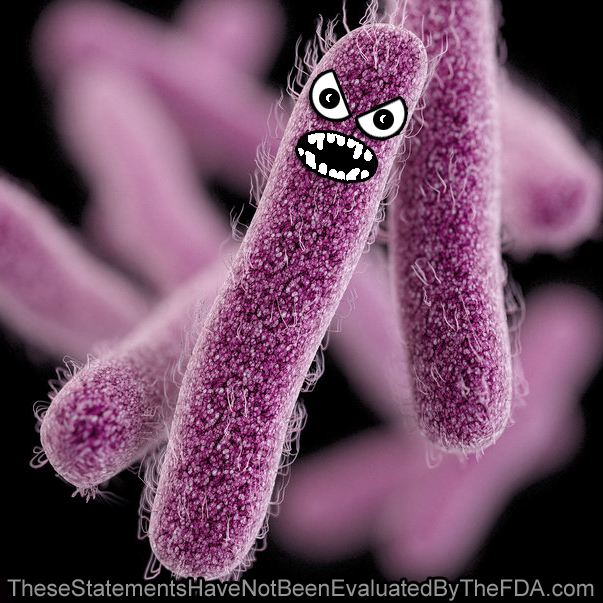 Drug Resistant Bacteria? Try Electricity! Almost every day in the media we hear about antibiotic resistant bacteria making a routine hospital visit more and more dangerous. How sad is it to enter a hospital for an operation, or simply with a cut or wound, only to catch a life threatening bacteria while there? Drug companies are scrambling to create new drugs, new antibiotics, and invent new vaccinations while ignoring over 100 years of research on electrical frequency healing. Science cannot deny that all living and nonliving things have an oscillatory rate which will destroy or kill them. We’ve all seen a singer break glass. The same process can be seen under a microscope. Microbes, pathogens, and bacteria can be surrounded by radio frequency and watched as they die. The thin walls of their membranes become unstable. They hemorrhage and dissipate. Now the body’s immune system and white blood cells can clean up without a fight, fever, or suffering. A huge advantage! Once again money becomes the issue. Science over 100 years old is Public Domain — and no one can monopolize a solution that is public domain. No large pharmaceutical company will invest millions of dollars researching anything that is public domain. There is no way to make a return on investment. In fact, they tend to discredit any easy answer within the public domain that could compete with their drug monopoly. They are after all, a for-profit businesses first and foremost. Your health is secondary to reporting profits to the board of directors. Don’t let their bias get in the way of your health. If most of the antibiotic resistant bacteria is swarming around hospitals, it could be wise to avoid these places if possible. The CDC has issued warnings about going into hospitals needlessly due to the risk of drug resistant strains of bacteria, which they have few ideas how to cope with beyond inventing stronger new antibiotics. Their abuse of antibiotics over the decades have created these super bugs, so will the cycle go on and on until we have mega super bugs? Maybe it’s time we the people find the answer since medical science is without one. The best solution to today’s drug resistant bacterial infections may now be in the people’s hands, which isn’t a bad place for a solution to be. Know anyone handy with a soldering iron? Got a mad scientist friend? Have them build a zapper for you and your loved ones. With a little expertise in electronics and access to Radio Shack or other electronics dealer, anyone can make a zapper and experiment with frequency healing on their own. Anytime you have a bacterial problem, cut, scratch, infection, inflammation, pain, illness, cold, flu, get it out and see if it helps to zap it. Many times pain is caused by the presence of bacteria. You could zap as soon as you feel pain, or on your way to see your doctor. You might be well by the time you get there. Build or buy a zapper and experiment on your own. Show it to your doctor. Spread the good word so others know. Tell them how you stay well. Got Allergies? Help Is Here! Is Electricity The Cure For MRSA? How to stay looking young and feeling great. Why Don’t We Hear More About Natural Cures? Did Hulda Clark Die Of Cancer? FDA Wants To Keep Chickens Indoors? If it’s good enough for the Pope, it’s good enough for you. Would you like to donate to prostate cancer?